Simple and precise presentation of information, opinions and tips on mobile and computer software. Android, iOS, Windows, MAC OS, Linux..
Do you want to know who unfriend you? 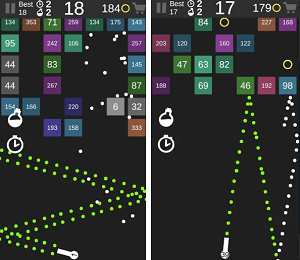 Our app of the day is the free and lovely Tikr. The app will present you what is hot and trending in film, music, TV, video games or politics. It is a social networking app that will make your life more exciting, because it is consisted from future events that everyone is expecting to happen. The app acts like countdown from all sorts of different releases of movies, books, music etc. As a user you can create unlimited number of tikrs and any user can see them. 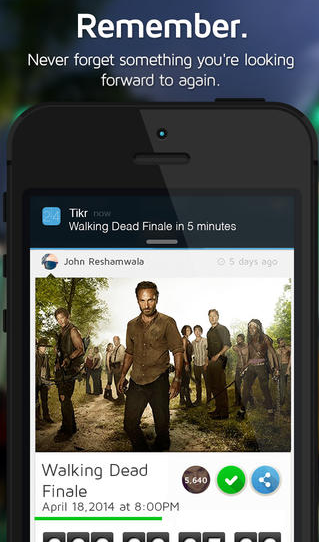 Tikr acts like a community, so there are numerous tikrs from all the users of the app. That means that you can see which Tickrs are most popular and thus see what is trending. The app is perfect for finding what is the latest in your favorite categories, because you can follow certain categories and get the most popular tikrs from that category. You can also invite your friends to countdown something that you feel is from mutual interest. You can even set reminders for the Tikrs you create. The app is fast, very smartly designed and with simple and intuitive UI. Outstanding app! Tikr is a community driven app that brings you future releases and events you can get excited about. From entertainment to gaming to emerging technology, now you can find something to look forward to. Join the party and be the first to see that trailer and get exciting updates along the way. Life is fun when you have something to look forward to. Get excited on Tikr. Eye Clinic in North Miami!